Founder, Chairman and CEO of Ascletis BioScience Co., Ltd.
Dr. Jinzi J. Wu, Founder, Chairman and CEO of Ascletis, member of China National “Thousand Talent Program”. Dr. Wu got his doctorate degree in cancer biology from University of Arizona in the U.S. 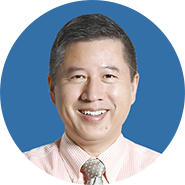 Prior to founding Ascletis, Dr. Wu was vice president at GSK in the United States in charge of HIV drug discovery. He has more than 17 years of experience in pharmaceutical research and development. Under his leadership, Ascletis established a pipeline including 7 innovative drug candidates or product and raised US$155M from series A and B pre-IPO financing.Ascletis has undertaken four research tasks of National Science and Technology Major Project for “Innovative Drug Development” and has been selected by the State Health Planning Commission as the leading unit of the Project on hepatitis C. In 2016, Dr. Wu and his team was selected as the Leading Innovative and Entrepreneur Team of Zhejiang province. In 2017, Ascletis won the champion of the sixth national innovation and entrepreneurship competition in bio pharmaceutical sector. In August 2018, led by Dr. Wu, Ascletis was successfully listed on the mainboard of the Hong Kong Stock Exchange as the world's first pre-revenue biotech since the implementation of the new rules and raised US$400M. Under Dr. Wu’s leadership, Ganovo (Danoprevir) , the first HCV cure developed by a domestic company in China, has been launched successfully and Ravidasvir in combination with Ganovo, the first all-oral interferon-free HCV regimen developed by a domestic company in China, has received NDA acceptance letter from CFDA.